Claiming young people are put off by “the perception that the Church is homophobic and transphobic”, church leaders said it is vital to challenge this with celebration of the “great contribution” sexual minorities have made to church life, and for outreach “within the LGBT+ community more broadly”. “We very much hope that they, like everyone else, feel encouraged to serve on PCCs, or as churchwardens and worship leaders, for instance, and are supported in exploring vocations to licensed lay and ordained ministries. 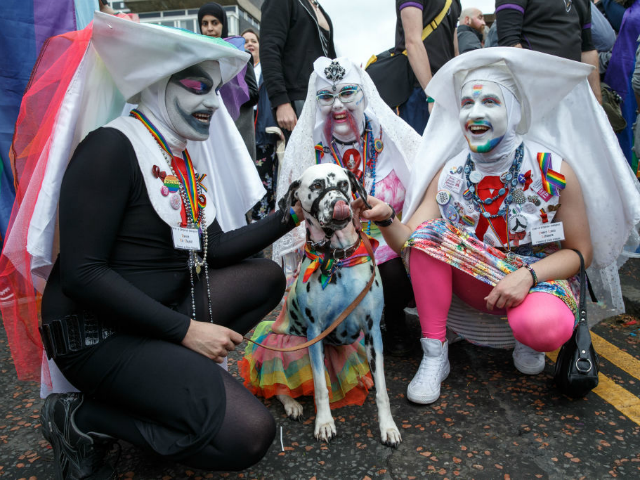 “Nobody should be told that their sexual or gender identity in itself makes them an unsuitable candidate for leadership in the Church,” states the advice, which is entitled ‘Welcoming and honouring LGBT+ people’. The group, led by diocesan bishop The Rt Revd Dr Michael Ipgrave, highlight the call for “radical Christian inclusion” based on a “proper 21st century understanding of being human and of being sexual” made by Archbishop Justin Welby last year. The “practical consequences” of this, according to the guidance, include warning “intrusive questioning about someone’s sexual practices or desires, or their experience of gender” is “almost always inappropriate”, and telling clergy to “be alert to power relations … and the possibility of spiritual and emotional abuse” if approached by an individual who is unhappy about their sexuality. But the belief that churches must promote homosexuality, “alternative” sexual lifestyles, and a liberal political agenda in order to engage people, especially the young, does not seem to be borne out by data on church attendance. Study after study looking at thousands of churches across the U.S. and globally, show that so-called ‘progressive’ churches are in steep decline, while those which hold to conservative sexual ethics and traditional church teachings and Scripture are growing and thriving. The Church of Sweden, which has seen a particularly dramatic collapse in membership, is set to lose well over a million members in the next ten years, according to a report which warned that the liberal institution will have to start selling its real estate in order to make ends meet. The Swedish church is perceived to have become increasingly politicised in recent years, in November voting to drop masculine references to God such as “He” and “Lord” so as to be more “inclusive”, while Stockholm Bishop Eva Brunne — the world’s first openly lesbian bishop — has previously proposed that churches remove crucifixes and install prayer space for Muslims.